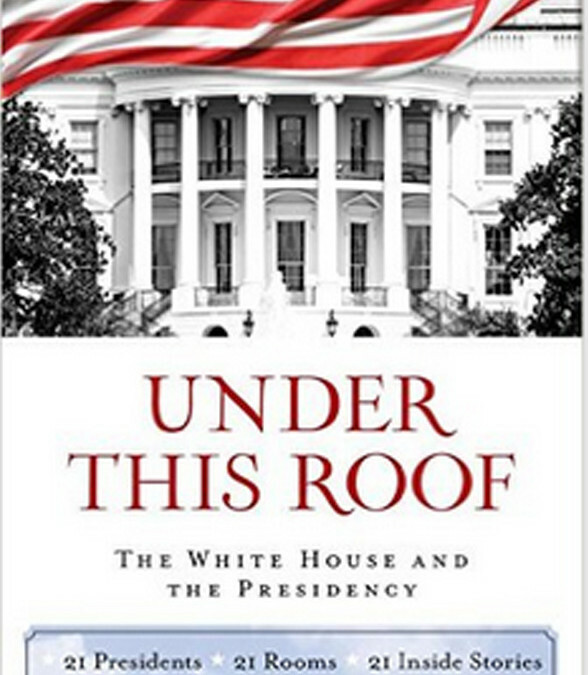 “Under This Roof: The White House and the Presidency” is a delightful, well-written, and well-researched collection of stories about the White House and our Presidents. The book is highly readable and I strongly recommend it. White House and American History: Author Paul Brandus masterfully pulls together three broad strands as reflected in the book’s subtitle: “21 Presidents, 21 Rooms, 21 Inside Stories.” The result is that we understand more of our nation’s history, the men who have served as President, and place where those men and their families have lived and worked. The history of America’s most famous residence reflects the history of America itself. The book includes both well known stories as well as new and surprising ones. Transformation and Humanization: Borrowing the book’s title “Under This Roof” from John Adams’ diary on his second day in the Executive Mansion, Brandus leads the reader through the technological and structural changes to the building, while also humanizing the mansion with stories of presidential entertainment styles, movie watching preferences, and family dynamics, and more. Living the History: After reading the book you feel like you’ve lived in the White House since November 1, 1800 when John Adams first took up residence there. You find yourself a witness to the transformation of the building through the years and get to personally know the Presidents and their families and the historic times in which they lived. 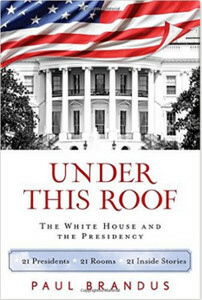 About the Author: Author Paul Brandus is an award-winning White House-based independent journalist and the founder and publisher of West Wing Reports (www.WestWingReports.com) and on Twitter @WestWingReports. He has been reporting from the White House briefing room since 2008. “Under This Roof” (September 29, 2015) is published by Lyons Press.